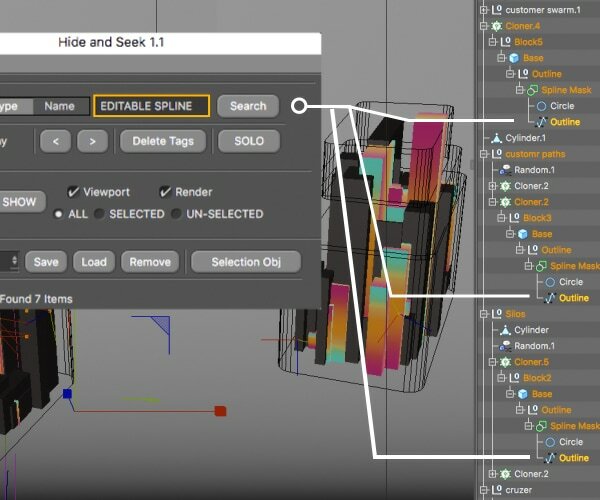 Hide and Seek is a workflow plugin that can make complex selections of objects groups in your Cinema 4D scene which you can then modify globally or individually. 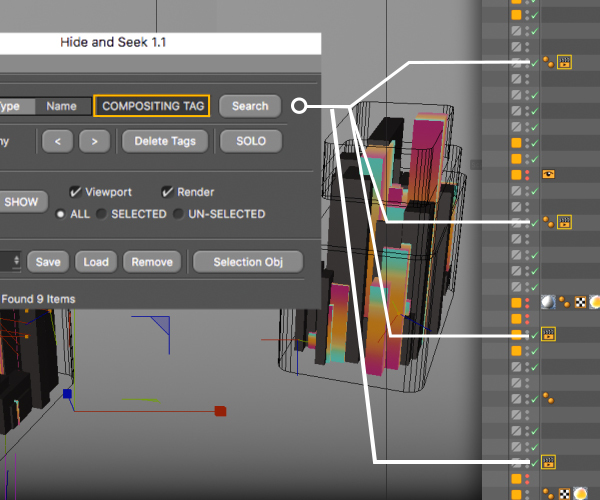 Hide and Seek will keep you organized and sane when working on any project in C4D! 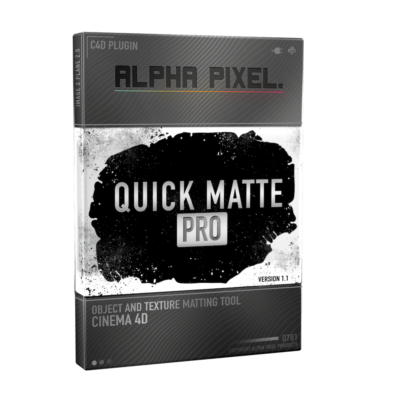 Works with 3rd party plugins such as Xparticles, Octane, and Vray. Searching for an object type will select all objects that match. For example you could do a broad search for “Splines” to select all splines types, or you could narrow your search and type “Helix” to find only Helix splines or “Editable Splines” to find non-primitive splines. Search for tags the same way you search for objects, just add “Tag” at the end of your search. 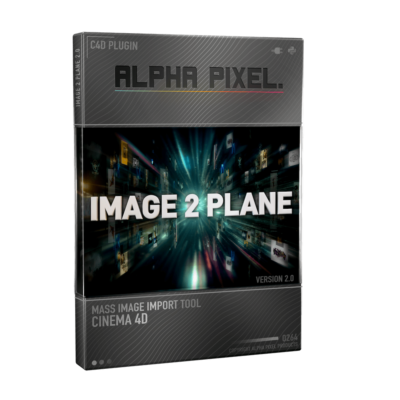 You can also search for things like “Missing Texture Tags” and easily delete them, or quickly find and modify your “Compositing Tags”. 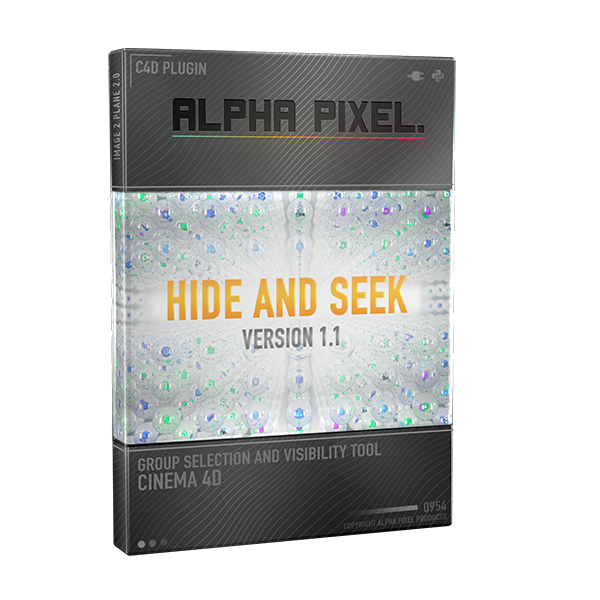 Once you have a selection you can modify those objects parameters globally in the attribute manager or use the arrows in the Hide and Seek plugin interface to cycle through and adjust objects individually for more precision editing. Save your selections and quickly come back to them anytime. You can add any objects to your selection. Just choose a choose a tag number hit “Save” to tag your objects. 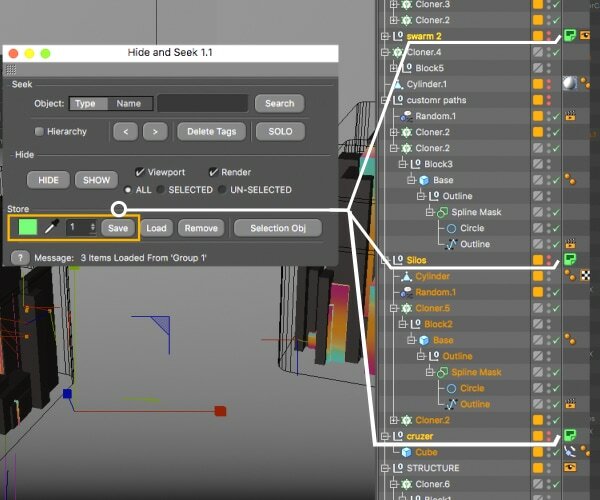 You can also save your objects into a C4D selection object as another option. LESS TIME SEARCHING = MORE TIME CREATING!